“That was the worst time of my life!” This is an all too common refrain from lawyers when they think back to the months just prior to the bar exam. 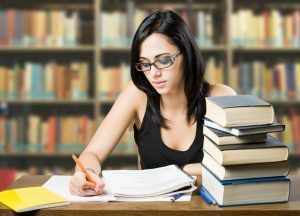 While it’s true that studying for the bar exam won’t be the most enjoyable experience you’ve ever had, neither does it need to be a cheerless, monotonous slog. In fact, with the right strategies in place, you can actually be happy (or at least not unhappy!) while preparing for the bar exam. Like most experiences in life, how you feel during bar prep will largely be dictated by your attitude towards it. If you go into bar prep anticipating that it will be miserable, boring, and stressful, I guarantee you that it will be miserable, boring, and stressful! If, however, you go into bar prep with the right attitude, you’re much more likely to have a positive experience. This is important because the better your preparation experience, the more likely you are to have positive results! Of course, having a positive attitude about bar prep is easier said than done. With hours and hours of studying to complete, not to mention the fear of failure looming in the back of your mind, staying optimistic can be a struggle. But it’s a struggle worth fighting, because a positive attitude will bolster your mental, emotional, and physical well-being. So how do you get yourself into the right mindset to face bar prep? Reframe the experience. Instead of assuming that this will be the worst few months of your life, like some people may have told you, try to get excited by the challenge ahead. Yes, there will be lots of hard work, but hard work can be energizing when you’re doing it in order to achieve something you care about: becoming a lawyer. You’ve spent the last three years of your life in law school so that you would have the opportunity to sit for the bar exam. That opportunity has finally arrived, so instead of looking on the months leading up to the exam with dread, try to generate some excitement that this moment has finally arrived. Author Norman Vincent Peale said that “You can think, talk and act yourself into dullness or into monotony or into unhappiness. By the same process, you can build up inspiration, excitement and a surging depth of joy.” While I’ll admit that it may not be possible to ever feel “a surging depth of joy” about taking the bar exam, with the right attitude, you can feel inspired and excited about the experience, particularly if you remind yourself that this is the final step on the path to becoming a lawyer. Even with the right attitude, there are going to be moments during bar prep when you feel discouraged, stressed, and burned out. During these moments, being able to turn to a support system can bolster your spirits and quell your fears when you need it most. A good support system should give you a place to vent your fears and frustrations, offer encouragement, provide assistance with chores or routine household tasks, provide an outlet away from studying when needed, and help you maintain your self-belief throughout the process. One person may do all of these things for you or you may rely on different people to play different roles. It’s also helpful to have someone, such as a bar prep tutor or law school professor, that you can go to for advice about study strategies and substantive legal questions. Try to identify who will make up your support system before you start studying and discuss your expectations and concerns. And, once you’ve identified your support system, don’t be afraid to ask for help when you need it! Having support throughout the process will make bar prep less isolating and burdensome. The biggest key to having a positive bar prep experience is good time management. The ability to spend time with your friends and family, exercise, eat healthy, get a good night’s sleep, do activities you enjoy, and just have some downtime away from studying is absolutely vital to maintaining your well-being during bar prep. And the good news is, you can do all of these things while studiously preparing for the bar exam, but only if you manage your time well and stay focused when you need to work. There’s no secret to balancing work and life: you need to have a good schedule that accounts for everything you want to accomplish, and you need to work diligently during study periods. If you stay focused, avoid procrastinating, and work consistently throughout bar prep, you will be able to make time to enjoy yourself. While you may never want to relive the months leading up the bar exam, this also doesn’t have to be a terrible experience. With the right attitude, a strong support system, and strict time management, you can be happy and thoroughly prepared for the exam.